SUVA: The Fijian government is committed to achieving the 2,035 global End-TB program targets that are to reduce Tuberculosis incidence and deaths by 90 percent and 95 percent respectively. 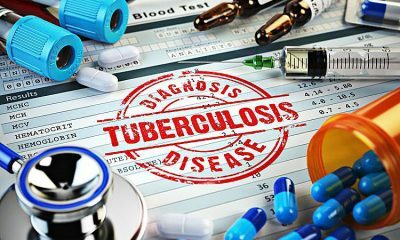 Fiji’s Ministry of Health Acting Medical Superintendent at the Tamavua Twomey Hospital Mike Kama said Tuesday that in 2017, the ministry indicated that 49 out of every 100,000 Fijians had TB and about four of those infected succumbed to the disease. He made the comments as World Tuberculosis (TB day) celebration was launched at Queen Victoria School in Tailevu Province on Tuesday. Awareness sessions followed by TB screening for students was conducted in the school by officials from Fiji’s Ministry of Health. TB is diagnosed by having a chest X-Ray and a sputum sample tested for the presence of the bacteria. Sam Fullman from the National TB Program said the spread of TB can be prevented by practicing good cough etiquette, ensuring that homes are well ventilated and not overcrowded, and regularly sunning out the beddings. The World TB Day commemoration that is set to be conducted this Friday intends to create and escalate public awareness on TB and reflect on continuous colossal efforts of controlling the disease.